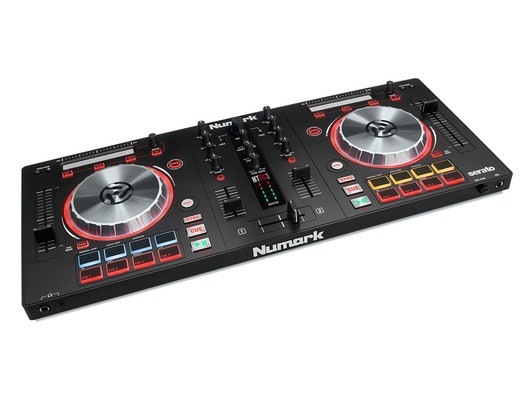 The Numark Mixtrack Pro 3 DJ Controller is perfect for beginners to semi-pro DJs, we can say with all honesty that for a bedroom DJ or professional DJ use this controller is the one for you. When you get your Numark Mixtrack Pro 3 home and set it up for the first time you'll understand exactly what we mean. Once you get a feel for the sturdy, 5" metal job platters, the solid trigger plate and the super smooth 100mm (yes, that's right, 100mm!) pitch sliders you'll be wondering how you ever used any other controller! WhyBuyNew are one of the largest retailers in the UK for the Mixtrack series and we were lucky enough to be the first to give a hands on review via YouTube at the California Namm Launch in January 2015. 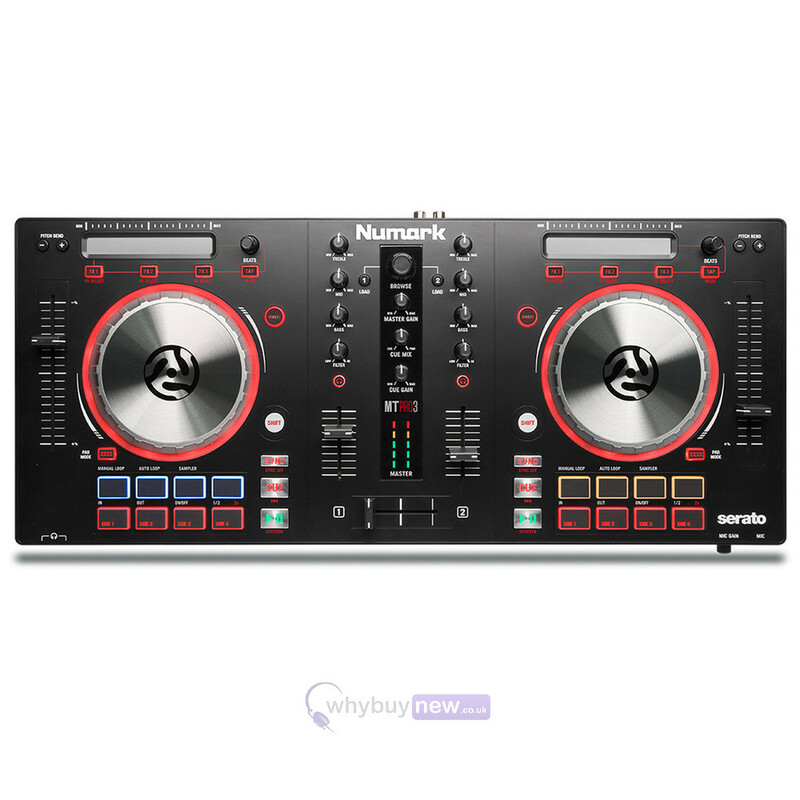 We love the quality, design and thought that has gone into the Mixtrack Pro 3 and can see how Numark have built upon the predecessors in the Mixtrack Series. The Mixtrack Pro 3 DJ Controller builds on its hugely popular predecessor, firstly by retaining all the features and benefits that made the Mixtrack series so incredibly popular. The Pro 3 share the same basic platform as previous iterations of the series but boast several performance characteristics and features that make them even more satisfying and effective to use. For example: The class-exclusive 100mm pitch sliders make it extremely simple to execute super fine pitch adjustments, making it even easier to keep two cuts in beat sync without worrying about any drift occurring. Conventional 60mm pitch sliders on comparative units by their competitors don't come close to matching the Mixtrack Pro 3's performance in this critical area. Dedicated Filter Knobs for each channel, providing a sophisticated level of precise tone control rarely found in other controllers in at and around the same price point as the Pro 3. Multi-Function Touch Strip giving you dynamic FX control and Strip Search operation. Independent Transport Controls offer a much greater operational flexibility, with both controls utilising metal. Prime Loops Remix Tool is included, allowing you to add loops and samples to live sets. Perfect for Serato DJ Intro with an option to upgrade to the full version of Serato DJ (just select Serato DJ Upgrade from the option drop down). 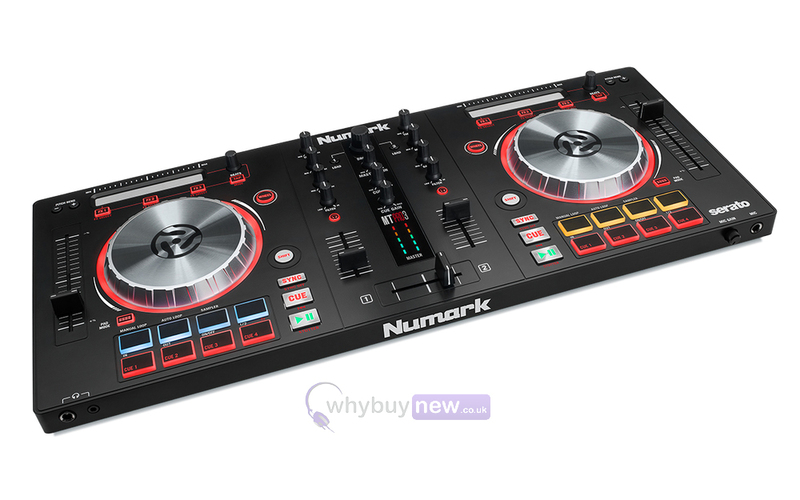 Here we have the Numark Mixtrack Pro 3 DJ Controller in brand new condition and in B-Stock. The B-Stock versions would have been on display at a training evening or trade exhibition only and will come boxed 'as new' with all accessories and a 1-year warranty. Integrated, class compliant audio interface with 1/4" and 1/8" headphone jacks. Dimensions (H x W x D): 1.2 x 9.12 x 21.7"
As a mobile DJ I can't recommend this controller enough. The compact size means I can set up in the smallest of areas (always a consideration for us mobile jocks). All the controls are well spaced out meaning I don't have to worry about accidentally pressing or moving a control. The long throw faders are a great inclusion as they encourage manual beatmatching. The audio quality of the soundcard is great. Even with a mid sized party (75-100 people) I had no need to run my controller's audio through a stage mixer. If you're in the market for a good controller that does the basics very well and has some well implemented performance feature then look no further than the Mixtrack Pro 3. Pre ordered my mixtrack pro 3 today and can't wait to get my hands on it!